Next year will mark the 25th anniversary of Hellboy’s first appearance in the Seed of Destruction miniseries. 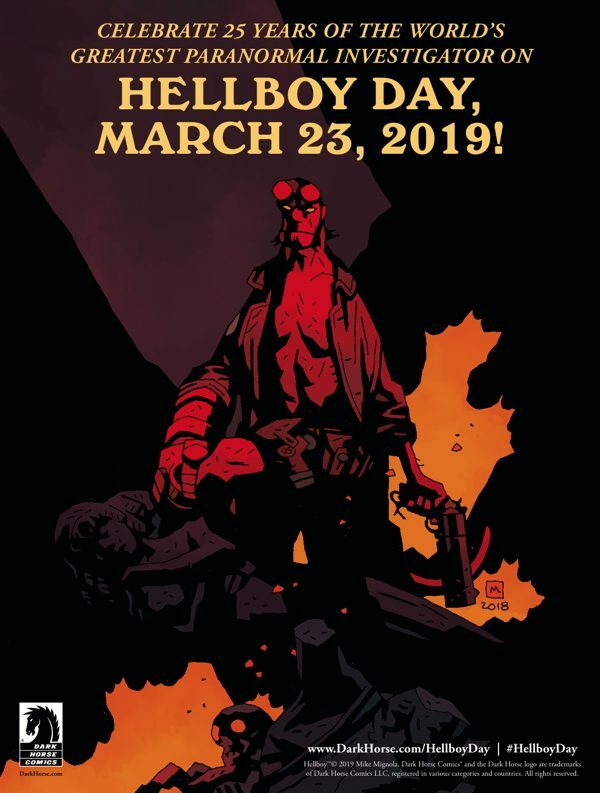 To mark the occasion, Dark Horse Comics has announced a celebration on Saturday, March 23, which the publisher is proclaiming as Hellboy Day. Dark Horse is encouraging comic shops across the country to participate in the celebration by holding their own events and offering sales on Hellboy titles. The company will also be distributing new promotional materials for retailers to hand out to fans of the character. These include tattoo sheets, a Right Hand of Doom bookmark, a double-sided poster, a Mignolaverse timeline, and more. Additionally, Dark Horse is teasing special rewards packages for any stores that take advantage of backlist sales pricing. Hellboy maintained a generally cult status for roughly the first 10 years of his existence. That changed in 2004 when Guillermo del Toro directed a film adaptation starring Ron Perlman as Hellboy, Selma Blair as Liz Sherman, and Doug Jones as Abe Sapien. The trio reprised their roles in the 2008 sequel. They also lent their voices to a pair of animated features. A reboot with David Harbour in the title role will hit theaters on April 12, three weeks after Hellboy Day. 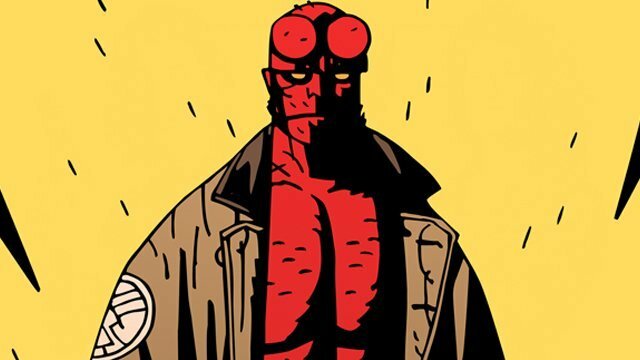 You can check out a new bit of promotional art for Hellboy Day below. Fee free to share what the character has meant to you over the last quarter century in the comment section!